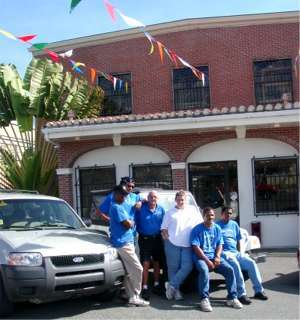 Olympic Rent A Car- an affiliate of national car rental company Ace Rent A Car, located on St. Croix, U.S. Virgin Islands is the oldest and largest independent car rental agency on St. Croix. We've been in business since 1973. Olympic's selection of vehicles will allow you to see all of St. Croix in comfort. Our large fleet assures you of a vehicle that meets your requirements. Our fleet includes compacts & full size cars, 4 wheel drive Jeep Wranglers, and Minivans. Budget's rental counters are conveniently located, one right at the St. Croix Henry Rohlsen International Airport, and in Christiansted near the seaplane ramp, and for cruise ship passengers in Frederiksted across from the Pier. And Budget will pick you up at your hotel, too. We look forward to seeing you and having you enjoy St. Croix! Around the Corner. Around The World. Around St.Croix. Hertz provides you with the perfect car for you to enjoy St. Croix. You can choose from compact, mid and full sized vehicles, family sized mini-vans as well as SUV’s and Jeeps to add more fun and adventure to your trip. We will have the perfect car for you, whatever your need is. GUARANTEED LOWEST RATE - Midwest is pleased to announce that we have the lowest rate on St. Croix - Guaranteed. If you find a lower rate, we will match or beat it.